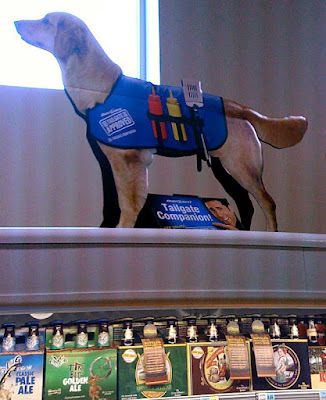 After seeing this Point of Sale (POS) display it became clear to me the difference between a "Companion animal" and a "Service dog". Is it ironic that it sets on the "Top Shelf" above the Flying Dog Ales? Older PostService Dog in a China Shop?